MONTPELIER, Vt. – Vermont on Wednesday raised the age to buy firearms, banned high-capacity magazines and made it easier to take guns from people who pose a threat – the first significant gun ownership restrictions in state history, signed into law by the Republican governor. Standing on the Statehouse steps before a noisy crowd of hundreds gun rights activists and supporters, Gov. 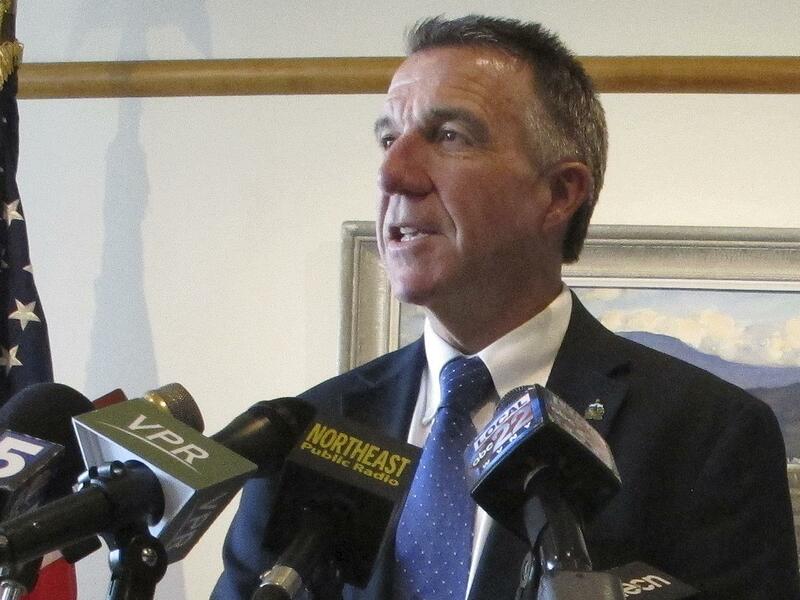 Phil Scott signed the bills into law. Supporters shouted “thank you,” while opponents, many wearing hunter orange, shouted “traitor!” and booed the governor. “This is not the time to do what’s easy, it’s time to do what’s right,” said Scott, who continued to speak despite loud chants from the two sides. Scott, a gun owner, had urged the Legislature to pass gun restrictions in the aftermath of what police called a narrowly averted high school shooting in Fair Haven. Authorities said they learned a teen from Poultney was planning to kill as many people possible. He was arrested and charged Feb. 15, the day after a high school shooting in Parkland, Florida, that left 17 people dead. Scott said the incident proved to him that Vermont isn’t immune from the school violence that has plagued other parts of the country. “This is one of those moments as a state when we have the opportunity to do things differently,” Scott said. During the signing ceremony, gun rights supporter Ben Tucker, of Tunbridge, constantly yelled at the governor. Victoria Biondolillo, 20, of Barre, a University of Vermont student and Republican Party activist, said safety is paramount. Published: April 11, 2018, 1:02 p.m. Updated: April 11, 2018, 4:04 p.m.